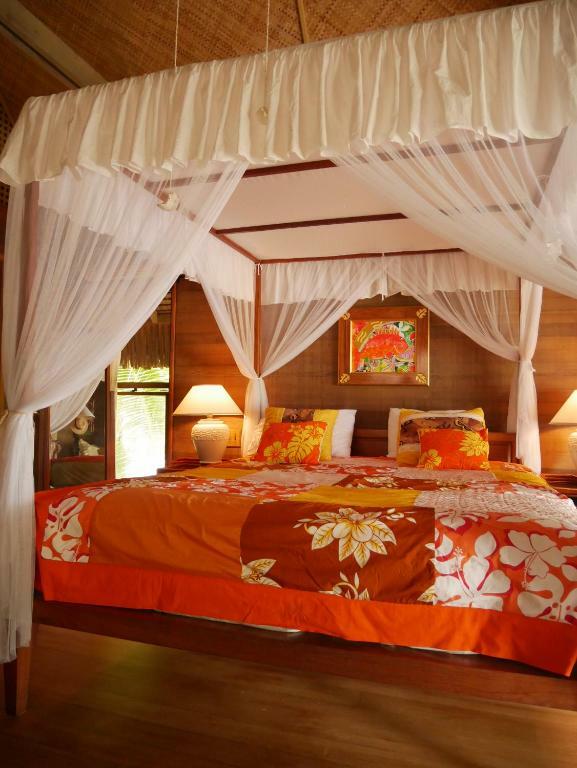 Lock in a great price for Villa Ahuna – rated 8.7 by recent guests! Villa ahuna is located on Motu Ahuna Island in Bora Bora. Guests staying at this villa have access to a fully equipped kitchen. There is an open air living room and 2 bedrooms. If you would like to discover the area, canoeing is possible in the surroundings. Vaitape, the main village, is 2 mi from the villa by boat. When would you like to stay at Villa Ahuna? 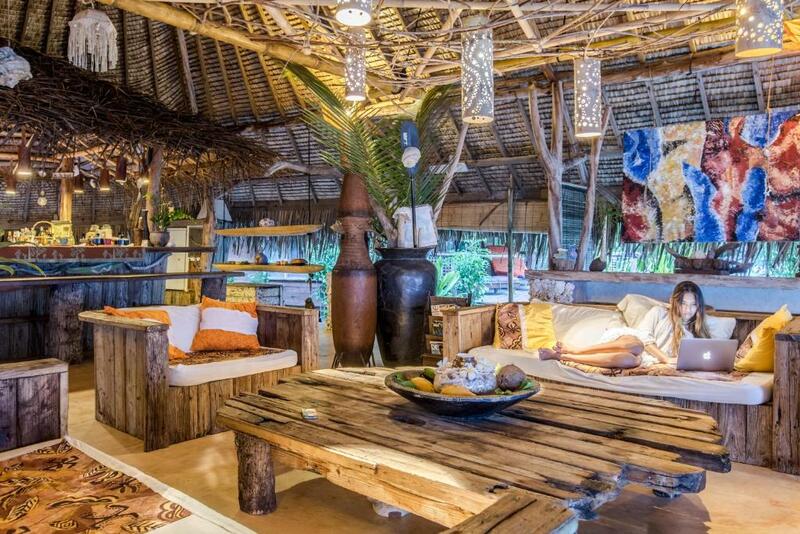 This villa has an open air living room, barbecue and dining area. Escape to your private Polynesian Villa on Motu Ahuna and enjoy the luxurious, isolated sanctuary of your exotic fare on Bora Bora, considered one of the most exclusive and beautiful island destinations in the world. 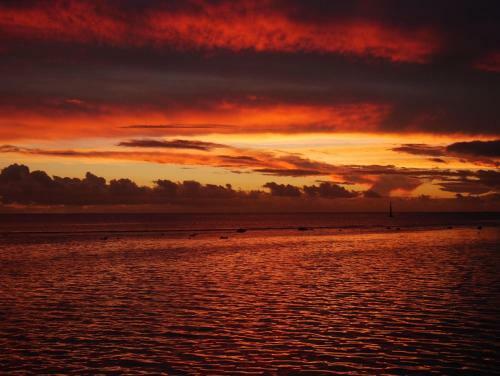 Your morning will start invariably with a magnificent sunrise unfolding right in front of you. Go swimming or snorkeling in the lagoon . Explore the reef, or paddle your outrigger canoe to marvel at the coral and multitude of colorful fish. 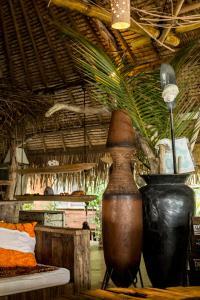 Or, indulge the ultimate farniente, and just daydream in your hammock to the sound of rustling palm leaves in a breeze. A small motorboat, that you will pilot yourself, is at your disposal to explore the lagoon or buy supplies in Vaitape, about 10 minutes away( Navigation and boat skills is required). 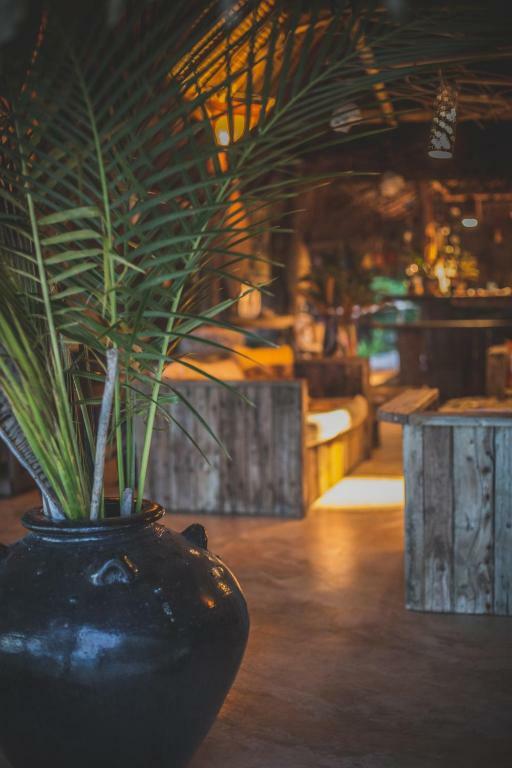 Private and discreet, Villa Ahuna offers two fare (thatched roof bungalows) and one large fare pote (thatched roof open air lounge with bar and kitchen) situated on four acres of landscaped beach property. It has its own rain water supply and solar electricity( to manage). Perfect for two couples or a family who are looking for a secluded , adventurous getaway on beautiful Bora Bora. I grew up on the island of Bora Bora and will always remember the many happy moments when my parents would take my two brothers and myself for boat rides to snorkel, explore the reefs or to fish. Often, we would beach the boat on Motu Ahuna islet, where I loved to comb the beaches for shells or driftwood. 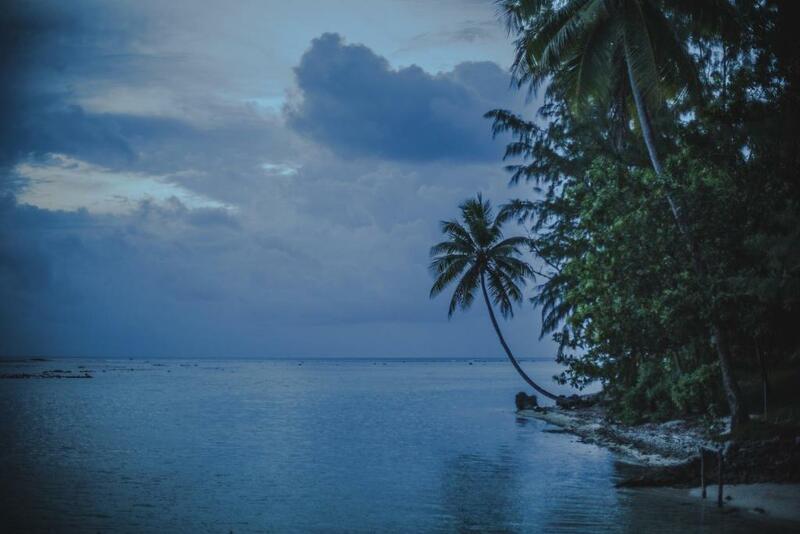 We cooked freshly caught fish on hot coral stones and climbed palm trees for coconuts to drink their pure water. Years later, when I studied Biology in France, I would dream about Bora Bora and having a home on one of its pretty islets. When I returned, my parents urged me to pursue my dream, so for years, I’ve slowly been creating my own little island Paradise. The result is Villa Ahuna, and I am happy to share it with you. 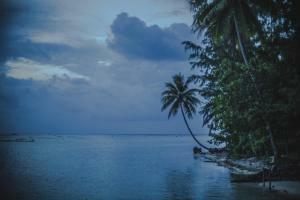 Motu Ahuna is close to Vaitape the main village 10 minutes by boat and The Teavanui passage the only one on the island. House Rules Villa Ahuna takes special requests – add in the next step! Please inform Villa Ahuna of your expected arrival time in advance. You can use the Special Requests box when booking, or contact the property directly using the contact details in your confirmation. 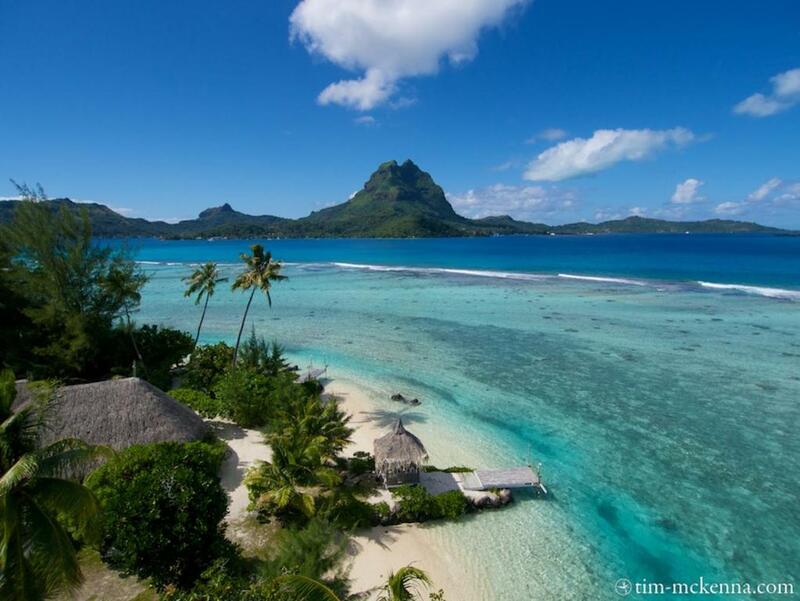 Please note that check-in and key collection take place at: vaitape, bora bora 98730. OMG - Villa Ahuna is amazing. We loved the feeling of being on our own piece of paradise in the most beautiful Bora Bora lagoon. The views of the mountains were lovely and the colours of the lagoon were views we never tired of. We found some excellent snorkelling spots off the beach and around the corner a bit. The sleeping bungalows were beautiful and we love the eclectic decor and styling of the open are living/kitchen bungalow. The hammock and day beds were perfect places to relax. We easily filled our five days on the island and only used the tinny on short short trips. We did one big grocery shop before arriving on the island and had plenty of food. The caretaker, Joel showed us how to husk coconuts, grate the flesh and make our own fresh coconut milk - a real highlight of the stay. We made the most delicious coconut rice puddings for our breakfast! We also loved the huge bunch of bananas strung up near the kitchen - great for snacks. Good wifi as well which kept our teenage children in touch with the world the and up to date with social media. The vibe was wonderful and I could have easily stayed much longer - I loved island life. Tea was most helpful all the way from the initial booking and answering lots of questions to helping us with questions once we were on the island. As we only speak English it was bit hard to communicate with Joel who spoke French. But it was fun trying! Tea recommended a more personal, private lagoon tour with Marona, a local fisherman. He has a wonderful outrigger with a big shade canopy and we enjoyed the most excellent day on the Bora Bora lagoon seeing all the sights. Marona even found two manta rays for us to swim with! and surprised us with a delicious snack on a floating table in the water of tropical fruits and his homemade coconut cake - yummy! I would come back to Villa Ahuna in a heart beat. Exactly the type of holiday I love - days filled with swimming, snorkelling, simple food and no other people but our family.